This fabulous five bedroom penthouse offers abundant living space, impressive en suite master bedroom. Superb four bedroom penthouse apartment. Generously sized living room.Modern kitchen with integrated appliances.Superb master bedrooom with luxurious en suite bathroom.Trendy bathroom.Fantastic roof terrace. Please feel free to contact our consultant. 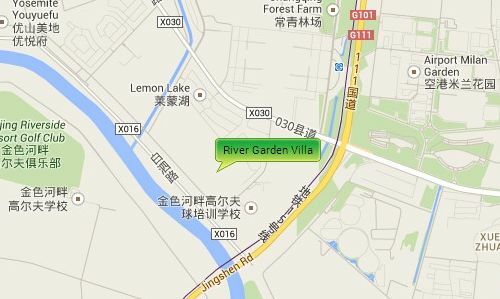 River Garden is situated in the Baixinzhuang village in the Shunyi District just along the Wenyu River. It is opposite the new international exhibition center and close to the Pinnacle Plaza and Eurovillage developments. It is near to the Airport Expressway giving you easy access to both the Airport and to Central Beijing.